What’s the history of this place? THE GPO garrison evacuated to Moore Street at the end of Easter Week 1916 and it was here the final dramatic events of the Rising took place. Moore Street and the area behind it, including Moore Lane (by Conway’s pub) and O’Rahilly Parade, have been described as “the lanes of history”. Where is the National Monument? 14 to 17 Moore Street, including the yards and walls and outbuildings behind them, are a designated National Monument. 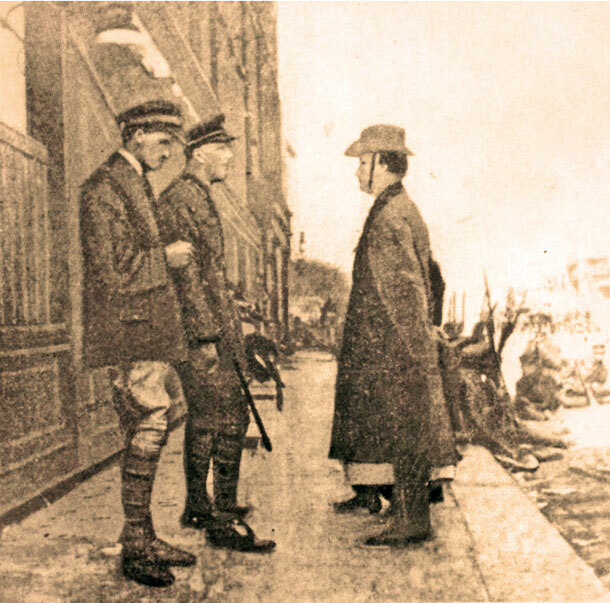 It was in 16 Moore Street, around the bed of the gravely-wounded James Connolly, that the last meeting of the Provisional Government of the Irish Republic took place and the final decision to surrender was made. What does the developer want to do? Chartered Land want to build a giant shopping mall, demolishing most of Moore Street, leaving a truncated National Monument and obliterating “the lanes of history”. Why is the Heritage Minister involved? Because 14 to 17 is a National Monument, any works on or adjacent to it require consent from Heritage Minister Jimmy Deenihan. ON 16 July, TDs were finally allowed by developers to tour the National Monument at Moore Street, having previously been refused entry by developer Chartered Land on a number of occasions. Sinn Féin TDs Gerry Adams, Mary Lou McDonald and Sandra McLellan, Labour’s Joe Costello TD and Emer Costello MEP, and Independent TD Maureen O’Sullivan all visited the site. They were shocked and disappointed by the state of decay and dereliction they saw. That afternoon, Heritage Minister Jimmy Deenihan gave his decision on the future of the historic buildings. Consent was given to some parts of the plan by the commercial developers — who want to build a giant shopping mall on the site — while other parts were refused. 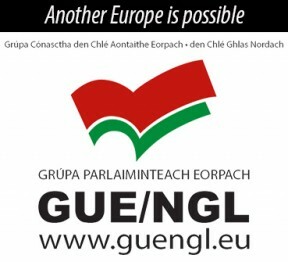 The decision has both positive and negative elements. It is positive that the National Monument at 14 to 17 Moore Street must be preserved in full and works such as the underground car park berneath it will not be allowed. It is negative in that demolition of 13, 18 and 19 Moore Street is being allowed. 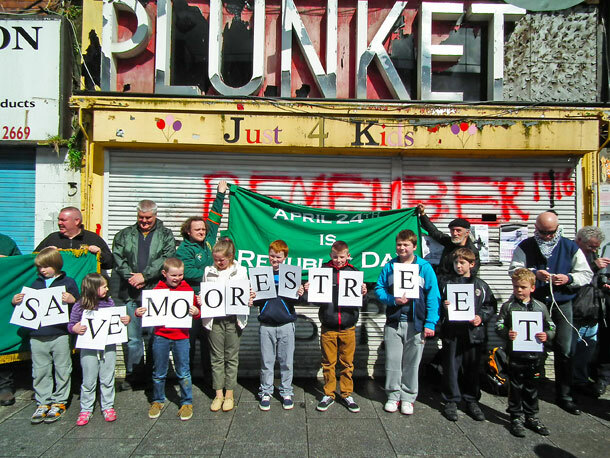 The campaign goes on to ensure the restoration of the National Monument and preservation and restoration of the Moore Street area and “the lanes of history” as a battlefield site and historic quarter.